Simon pride. It’s a value we instill in our students, and it’s a principle our alumni carry with them throughout their careers. From expert and well-informed business decisions to being an active member of an alumni network that spans the globe, our graduates proudly claim their Simon heritage and continue to find ways to make the world an ever better place. 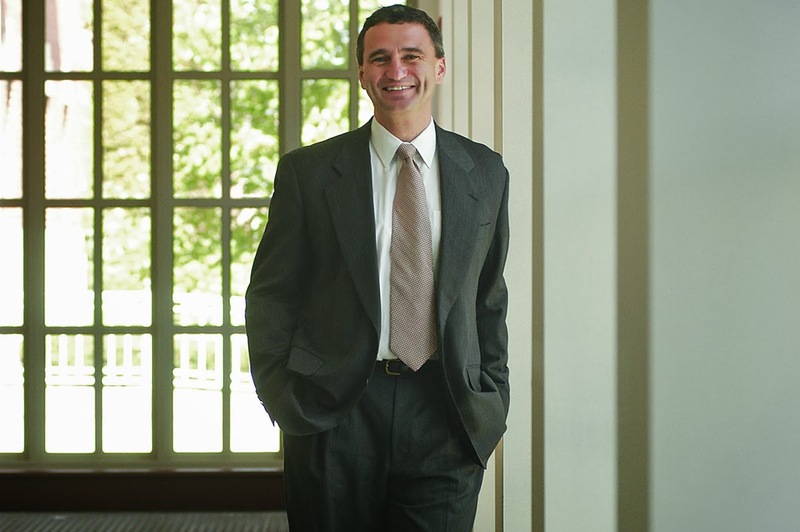 While the Simon School has produced its fair share of top-level executives like our cover profile, Doug Petno ’89S (MBA), we realize not every graduate will scale the heights of a world-renowned financial institution, nor will it be the call for everyone. Many of our alumni receive their business degrees to pursue challenging and rewarding careers in other established fields, while others embrace the spirit of entrepreneurism and thereby opt to pursue their dreams and innovate the future. No matter your career path, your accomplishments, expertise, perspective, and involvement strengthen the Simon alumni network and help make it an invaluable asset for job recruitment, professional development, and qualified student referrals. In the end, the stronger we make our alumni network, the more opportunities for success we can offer our graduates. Of course, technology and social media have become vital tools for our alumni to connect with each other and stay informed about current developments at the School. Digital networks, like those available on LinkedIn and Goalee, an innovative search engine developed by two recent Simon alums, help organize and promote everything from social engagements to professional opportunities and idea sharing. To date, Goalee has over 5,000 Simon students and alumni in its network that blends the benefits of an online networking site like LinkedIn with online matchmaking sites like eHarmony and Match.com. It also helps us to offer an easy-to-use Job TipLine. If you have a job lead, simply visit www.simon.careertipline.com/tips/new and fill out the short form. Even if you think there may be opportunities, but aren't entirely sure, we'd be interested in learning more. Once you submit a lead, students and alumni will be notified of leads that are relevant for their career search, and can then pursue each opportunity according to your directions. You can also sign up for the service if you would like to be notified of job leads that may interest you. Across the country and around the world, Simon graduates are also using our main LinkedIn page, which boasts over 4,000 members and more specific regional pages to become more involved with local alumni chapters. I encourage you to find out more about both the virtual LinkedIn alumni groups in your area, as well as the in-person clubs that regularly organize social and professional networking events. 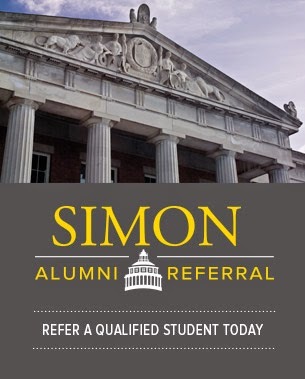 They offer an incredible resource for continued career development and offer beneficial networking and social opportunities to stay connected with your friends, classmates, colleagues, and other Simon alums. Staying connected also helps us celebrate your professional successes and personal achievements. As the standard bearers for the School, you are our greatest ambassadors, offering unique reflections of the academic excellence and highest values we offer here at Simon. To that end, I encourage you to reach out and become an even more integral part of the Simon network. You can stay connected through our main LinkedIn group [add link] or by one of the many online regional groups. I invite you to take advantage of these online offerings, as well as the alumni chapters that meet in your area. If there is not a Simon alumni chapter near you, please contact our Advancement office for assistance in creating one. Moreover, if you would like to become an agent for your graduating class and help strengthen the ties within your cohort, please let us know.